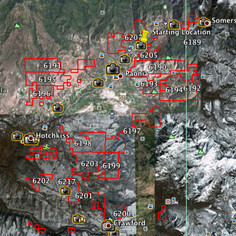 Request the BLM to Withdraw Potential Oil and Gas Lease Parcels ! PLEASE SIGN ! ! Sorry, Cher, the time period has ended on this one. Dissolve the BLM and give the lands back to the Natives. Time period to sign has ended. Thank you for this opportunity to help! Tried to sign, but the petition has closed. The time period for signing this petition has ended. I tried but It says closed. The petition is now closed, But I have already signed and shared this, Thanks Cher. Unfortunately I came too late for signing! Petition already closed!